Andrew Guy is a highly successful Australian actor who is best known for his roles in short films ’Forgiven’, ‘The Shaft’, ‘Unsure’, ‘Cheer Up the World Ends Tomorrow’. Besides acting, he has a deep urge to work towards humanity and this is evident through his personal philanthropic vision. He is amongst those talented actors who very well know how to raise social awareness via their work. His latest works has increased awareness of self-healing, domestic violence and depression. For Andrew acting means something which is a means to connect, inspire and to be a living-breathing example of a human being. His exceptional talent is evident from his performances and rich experience in this industry. As a child he got early exposure to drama during his school days and he totally enjoyed the first script in which he had to perform in front of a class. Andrew was just nine at that time and developed a keen interest in this field and expanded his learning in the subject. He even went ahead and took learning in stuff like lighting and stage development so that he could understand how theatre comes together. His theatre credits consist of Suburbia, Blackdog, Missing Pieces, Blackrock, and Prelude to a Vigil. Andrew is not only successful as an actor but is a great admirer of all those who are known for their philanthropic works. He is highly inspired by Michael J Fox and Angelina Jolie. He also admires the versatility of Eric Bogosian. He considers Hilary Swank as his ideal co-star. As far as his training is concerned it has some big names like Susan Batson Studios NYC, The SITI Theatre Company NYC, The Larry Moss Studios LA, the Actors Centre Australia, and the National Institute of Dramatic Arts. Before this he also got a Bachelor of Arts from the University of Technology, Sydney. 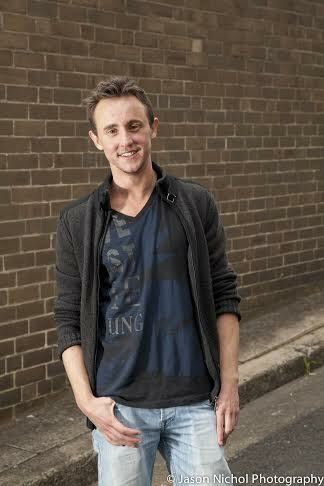 He appeared in NIDA and AFTRS joint venture feature film ‘Before the Rain’ and an AFTRS short film ‘The Bridge’. What is admirable is that his works extends to documentaries as well as promotional films which include the Vigil Independent Theatre Documentary; the Goget Promotional DVD; ‘Making a Difference’ The Journey Promotional DVD; and the Vanessa Amorosi video clip ‘Spin’. He is all set to play the role of John in an independent feature called ‘Cheer up the World Ends Tomorrow’. This accomplished stars favorite role is in the upcoming film by Pearl Tan who is his friend and shares the same humanitarian vision with him. In this film Andrew plays the lead role. He can also be seen in lead role of Carl in the Baltimore Waltz by Paula Vogel and in the solo show in creation with the director Tanya Taylor Rubenstein in Santa Fe, New Mexico, called ‘Andrew from Oz’. He aspires to work towards humanity and is a believer in consistent effort to succeed.